If you're like a lot of folks these days, pet food recalls are enough to make you crazy. How do you know what's safe? What pet food companies can you trust? And you also might find yourself looking for the "Made in the USA" label, just to give yourself some extra assurance. 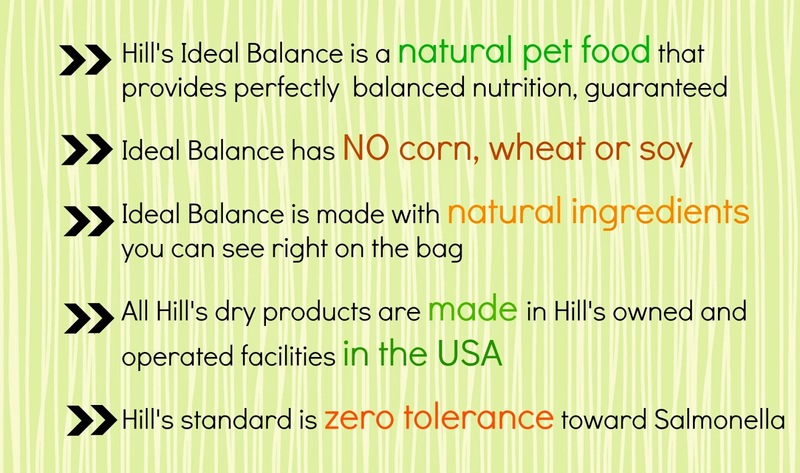 In the past few weeks I've learned a lot about Hill's Ideal Balance, about the brand's commitment to use high quality ingredients like real meat, fruits and vegetables and about the company's commitment to safety. In addition to high-quality ingredients, safety is so important these days. I'm happy to find that Hill’s carefully chooses high-quality ingredients, most of which are sourced from the U.S., with all meat and poultry coming from USDA-inspected facilities. I also learned that all of Hill’s dry foods are manufactured in the U.S. in their own facilities. Ingredients sourced outside of the U.S. are monitored just as strictly as those from the U.S., and Hill’s has zero tolerance for Salmonella. In fact, they conduct more than 60 quality checks on every batch of food, every ingredient can be tracked by batch or ingredient within 24 hours, and more than 1,000 Salmonella tests are conducted every month. 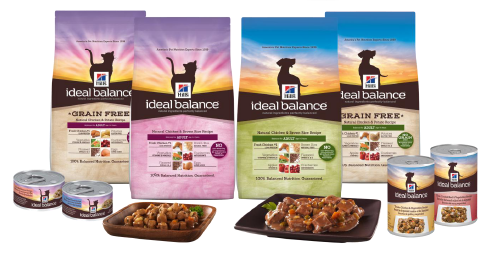 You can check out more information on the Hill's website and it will even recommend the right food for your dog or cat AND compare Ideal Balance to other natural pet foods. You can also learn more about the specific ingredients, key benefits and check out the reviews on Ideal Balance dog foods like Natural Chicken & Brown Rice Recipe and Grain Free Natural Chicken & Potato Recipe. And, if you have a finicky eater, we can speak from experience that a little of the canned Braised Lamb & Vegetables not only has natural ingredients in perfect balance, but it's perfectly tasty too! We don't have many re-calls over here. Maybe that is good or maybe it is something to worry about? Have a tremendous Thursday. Or maybe you all are doing something right! That's interesting that we have so many more recalls in the US. Have a great Thursday! Our visitor dogs needed a little eating encouragement -- not something Rocco's ever needed! So we added a bit of the canned food their meals and they gobbled it up! Then I started using the meat chunks as treats... a little messy but very motivating! 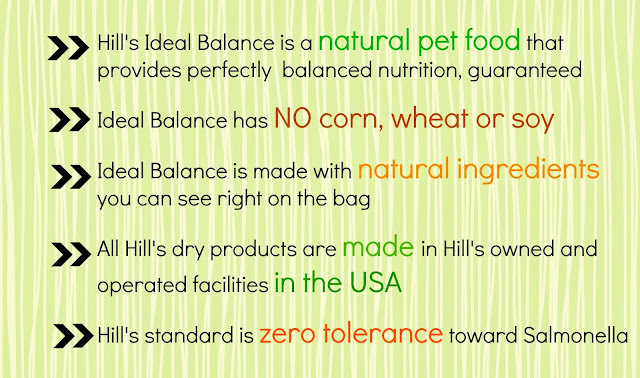 If I wasn't on a raw diet, the Hills Ideal Balance sounds like it would be a good choice.